"We have one message to those who are trying to destroy the institutions of India and everything it stands for: we will fight for our country and overcome these forces," the channel said. 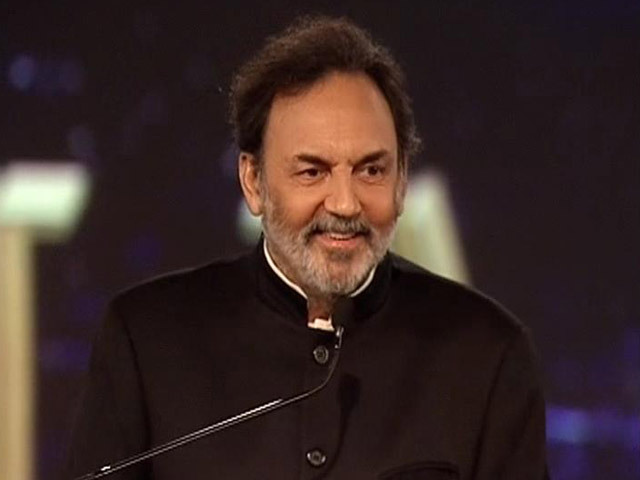 New Delhi: In a move that the channel described as an assault on democracy and free speech, the Central Bureau of Investigation on Monday carried out searches at the residence of NDTV chief Prannoy Roy in the national capital and in Dehradun for allegedly causing losses to a private bank. According to PTI, which quoted CBI sources, the agency has registered a case against Roy, his wife Radhika and a company they own, RRPR Holdings, “for allegedly causing a loss of Rs 48 crore to ICICI Bank”. The CBI said it was conducting its searches in four different places in Delhi and Dehradun, including the personal home of the Roys. “We will not succumb to these attempts to blatantly undermine democracy and free speech in India. “Even though lakhs and crores of rupees of dues have not been paid by several industrialists and no criminal case has yet been registered against any of them by the CBI, the CBI has chosen not only to register an FIR, but also conduct a search for a loan which has been duly repaid to ICICI Bank. Moreover, ICICI is a private bank. NDTV is India’s oldest private news channel – and also one of its most highly regarded. Its sober and independent editorial tone stands in stark contrast to what is now the norm in the electronic media. The Editors Guild of India expresses its deep concern over the raids conducted by the Central Bureau of Investigation (CBI) on the offices of NDTV and its promoters today. Entry of police and other agencies into the media offices is a serious matter. NDTV, in various statements, has denied any wrong doing and termed the raids as “stepping up the concerted harassment” of the news channel and an attempt to “undermine democracy and free speech” and “silence the media.” While the Editors Guild maintains that no individual or institution is above the law, the Guild condemns any attempt to muzzle the media and calls upon the CBI to follow the due process of law and ensure there is no interference in the free functioning of news operations. Earlier this year, the Ministry of Information and Broadcasting was accused of pursuing a vendetta against the company by imposing a one-day ban on its Hindi channel, NDTV India, for allegedly violating official coverage rules during the army’s counter-terrorist operation in Pathankot. As journalists protested what they said was an attack on media freedom – most channels had telecast the same information but NDTV was being penalised because of its editorial independence vis a vis the government, they alleged – the ministry backed down from implementing its order. NDTV’s appeal against the ban is now being heard by the Supreme Court. According to The Hoot, a site which tracks media developments in India, the previous year witnessed the freedom of speech and media coming under further strain. Though the NDTV founders are in a dispute with the income tax authorities and have gone to court over that, the Hindustan Times has reported that Monday’s searches are linked to a separate probe by the CBI into a loan the Roys took from ICICI in 2008. “A case of bank fraud has been registered against RRPR and unknown bank officials. This is part of CBI’s recent crackdown on bank frauds and wilful defaulters,” the Hindustan Times quoted a CBI source as saying. The CBI’s action comes days after the channel, considered the least-government friendly by the BJP and its supporters, had a run-in with an official spokesperson of the ruling party, Sambit Patra, last week. After accusing the channel of pursuing “an agenda” during a studio debate on the government’s policies on cattle slaughter, Patra was asked by the anchor, Nidhi Razdan, to leave her show. During the tenure of the first NDA government, Enforcement Directorate raids against the promoters of Tehelka soon after its exposé of political corruption led to the website eventually shutting shop. News of the CBI searches triggered immediate reactions from journalists and commentators. May we expect Gautam bhai to be raided next? A day after the raids and the FIR, the CBI released a statement of its own, saying that it registered a case and conducted its searches only after “due diligence”. “CBI has not conducted any search of registered office of NDTV, media studio, news room or premises connected with media operations. CBI fully respects the freedom of the press and is committed to the free functioning of news operations,” the statement said.